Elder brother of Dr Kafeel Khan was booked along one of his associates on late Monday night for using a fake driving licence to open an account in a nationalised bank in 2009. LUCKNOW: Elder brother of Dr Kafeel Khan, the suspended paediatrician of Gorakhpur's BRD Medical College, was booked along one of his associates on late Monday night for using a fake driving licence to open an account in a nationalised bank in 2009. A case of forgery and cheating was registered against Adeel Khan and his aide Mohammad Faizan at Cantt police station in Gorakhpur for allegedly opening a bank account in Union Bank of India in 2009 using a fake driving licence, other fake documents and forged signatures. Moreover, they had made a transaction of Rs 2 crore using the same account. As per the local police sources, Muzaffar Alam, resident of Shekhpur under Rajghat police station had approached SSP Shalabh Mathur with a complaint against Adeel Khan, a resident of Basantpur, that he along with his associate Mohammad Faizan had opened a bank account in Union Bank of India producing fake documents in 2009. The SSP entrusted CO, Kotwali, Atul Chaube to investigate the matter . "As per the complaint the accused had also made transaction of Rs 2 crore from the same account," said the SSP. During the probe, Chaube found the complaint to be true as the bank account was opened in the name of Mohammad Faizan using the photograph of the complainant Muzaffar Alam. Moreover, the driving licence produced as identity proof was also fake as it belonged to some Mohammad Zaheer. "The investigation into the transaction made by the accused was still on," SSP Mathur said. As a result, on the directives of the SSP Gorakhpur, a case of forgery and cheating was registered against Adeel Ahmad Khan and Mohammad Faizan under Section 419,420, 467, 468, 471 of IPC on the basis of written complaint given by Muzaffar Alam, said Chandrabhan Singh, Inspector Cant police station. However, a day earlier, Adeel Khan had said in a statement that he and his family might be implicated in false cases by the district police who had failed to arrest the attackers of his brother Kashif Jameel. Kashif was attacked by three- bike-borne assailants in June and he had received three gunshots. Kashif is the younger brother of Adeel Ahmad Khan and Dr Kafeel Ahmad Khan. Adeel had met CM Yogi Adityanath and had demanded a CBI probe into the attack on Kashif. Notably, Dr Kafeel is out on bail after being in jail for 7-8 months on charges of negligence in the kids' death case wherein around two dozen children had died in a span of 24 hours due to alleged disruption in oxygen supply in BRD Medical College of Gorakhpur in August last year. 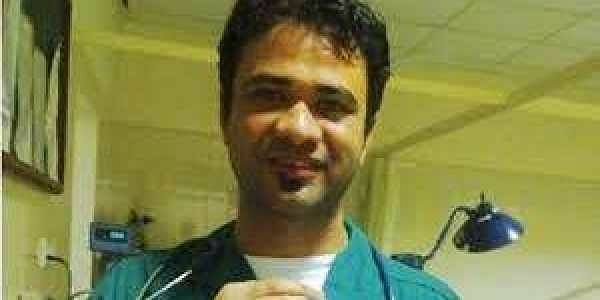 Dr Kafeel, who was the nodal officer of the children ward was suspended and arrested along with eight other accused persons in the case. However, he got bail in April end from Allahabad High Court.